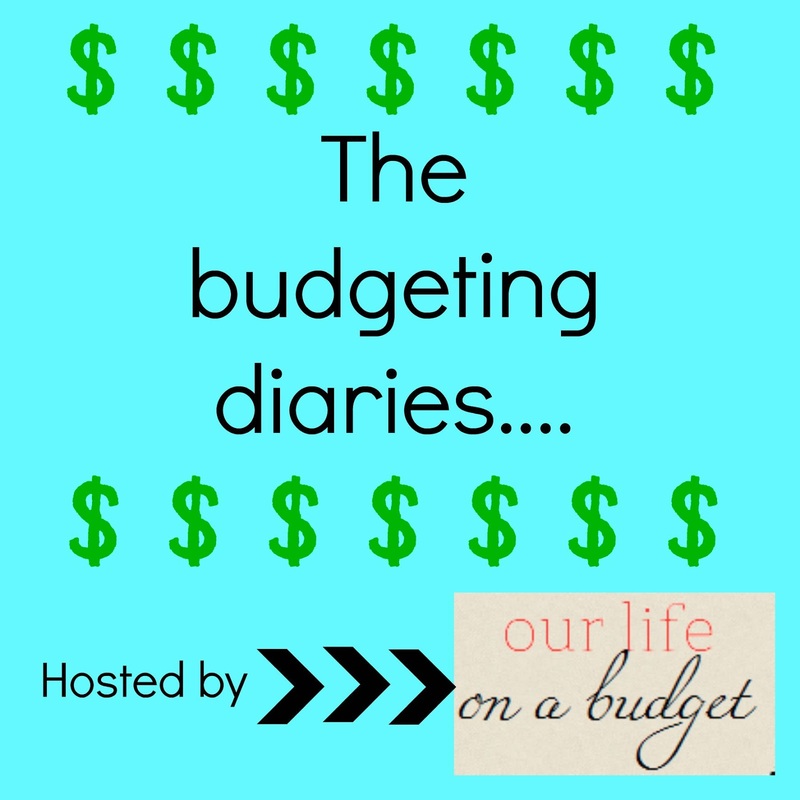 Welcome to another edition of the budgeting diaries! Today Laura is sharing from The Epitome of Us. I love each of these stories- because they are the same… yet they are so different. Laura brings great encouragement for reaching that debt-free point in your life! Hello! I'm Laura, 30, wife to Jason and mom to Lucy, 3, and Bridget, 1. I blog over at The Epitome of Us. I've been friends with Stasia ever since we were acquaintances at the University of Georgia, then became friends while in the same Life Group at church. 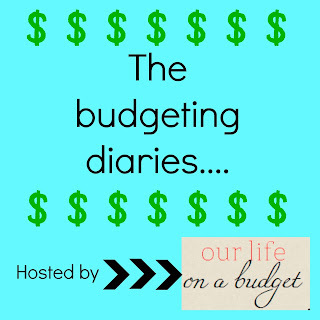 When I heard she was doing a "Budgeting Diaries" series, I knew I had to write a little something. Budgeting has been VITALLY important to my husband and I throughout our entire marriage. I also want to share our testimony about how God has provided for us financially. Jason and I grew up with different spending habits. I had a fair amount of spending money because my parents paid for all of my needs and then some, then whatever I earned at my job was mine to spend as well. They taught me the importance of saving and giving, but I chose what to do with the rest. What I chose consisted mainly of clothes and entertainment. Jason grew up and entered college with more of a mindset that he didn't need a whole lot of spending money, and that most of his earned money would go to more important long term things, like college. When we got married (right out of college), the main area of adjustment was money decisions. I had a few credit cards, and had no issue with signing up for new credit cards if it meant saving some money or getting some perks when I signed up. Well a few months into our marriage I carelessly forgot to make a payment and got a late fee. Jason was pretty unhappy about this and told me that we didn't have the money to be paying late fees. He thought that we needed to buckle down on our finances, write down every purchase that we made, budget, and rip up some credit cards. I was pretty shocked at first and put up a little bit of a fight. But I knew he was right. We were making very little money since I was finishing up school and working part time and he was only able to intern before entering Physical Therapy school. We didn't have a choice. We had to be SUPER careful about how we spent our money or we would burn through our savings in no time flat. I will give a shout out to Crown Financial - we did that Bible Study in a group together before we got married and it gave us a lot of groundwork information that we built on. Luckily, I am a huge Excel nerd and once we set up a very basic budget in Excel and did it a few months, I actually enjoyed seeing for the first time a bigger picture of where our money was going. I suddenly felt in control! We could decide that we were only going to spend "X" dollars in groceries that month and actually accomplish that goal! Yes, it meant not buying fancy foods, and eating out of the pantry for the last week of the month, but we weren't dipping into our savings! It was time consuming to look at all of our statements and reconcile the amounts and enter them into our budget, but it also empowered us because we would catch funny charges or things that we didn't recognize. There wasn't ever a charge to any of our accounts that we didn't see. Every charge got entered on our budget as the month went along. I believe that the Lord guided us through our experience with Crown Financial, our budget, and also the good "live debt free" example set by our parents to help get us through the next period of our marriage. As soon as Jason started PT school, our budget became extremely tight. I got a job and the money I earned had to be enough for both of us. We made it our goal not to take out ANY additional debt beyond school expenses. You see, in Medical School, you can take out tons of debt, not just for school expenses, but for living expenses as well! Trust me, it was very tempting to take out debt so we could go on a vacation or two, go out to eat more, buy more clothes, fix up our house, etc. But living on a tight budget taught us (mainly me) one very important lesson - PATIENCE! I learned that if I wanted to paint the kitchen or wanted a new outfit, maybe I couldn't do it that day - maybe I'd have to wait for birthday money, or Christmas money. It was a tough lesson, but I learned that God eventually provided for those desires - even when I didn't really "need" them. Our budget allowed us to cut every unnecessary expense so that we wouldn't have to take out more debt. One expense we didn't cut was tithing. It was a blessing to witness how God provided for us in this time. At the end of the year we were both SHOCKED that our savings account hadn't changed. When Jason finished PT school, passed his board exam, and got a job (Hallelujah!) - we purposely chose NOT to live on the glorious two paychecks that we suddenly had! We chose to live on his pay, and for my pay to go 100% to paying off his school debt - our total debt was approx. $43,000. Now at this point (3 1/2 years into our marriage), we had just had our first child - Lucy. I had always had a strong desire to be a stay at home mom, but I realized that if I did that, we would not be able to afford our living expenses plus the new monthly payment on Jason's school loans that we would soon have. 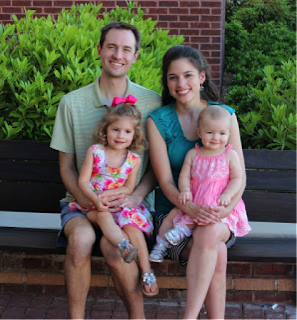 It was a HUGE sacrifice for me to take Lucy to a nanny or daycare almost every day for her first two years of life to pay off that debt - and boy did it make me thankful that we hadn't let it balloon any larger during our first 3 years of marriage! Quick Side Note: We are Dave Ramsey fans and believe in the "pay it off with a vengeance" mentality. Jason's medical school loan didn't require us to make any payments for 6 months and also didn't collect any interest for 6 months! We took this as a challenge and aimed to pay off the debt as quickly as possible so that we would pay very minimal interest. When all was said and done, we paid less than $500 in interest - PRAISE BE TO GOD! Another Side Note: When Lucy was born, the Lord enabled me to get a huge pay raise at the exact moment when we started paying off the debt. Coincidence? I think not! I believe that God was rooting for us to pay off the debt to reach our goal of debt freedom and our ultimate goal of being able to afford for me to be a stay at home mom. We paid off all of our debt in about a year and half. I kept working for another 6 months for the sole purpose of building up some savings. We have continued with the same Excel spreadsheet budget for the last 6 years! We have (Praise God!) more money coming in each month, but the number of transactions and amount of money spent each month has also skyrocketed! (think babies, diapers, kids clothes, etc.!) I'm not going to lie, it is a time commitment to enter each transaction that we make. However, it makes us literally think about every purchase twice. It helps us see what each purchase does to our bottom line, and it gives us a goal to shoot for. Are we perfect at budgeting? Definitely not! I'll be the first to admit that we rarely make budget 100%. But the goal is that some months we have a little extra, and some months we spend a little extra, and thats okay! Life is unpredictable sometimes! We are currently investigating budgeting software like Quicken that will make the process more automated, so hopefully that will mean less time with the budget with the same ability to see where our money is going. We are now "Living the Dream" - with no debt except our house and our rental house. I'm a stay at home mom and we have savings as a cushion. Sometimes I still worry about future finances, but I love looking back at the ways that God has provided for us. He is the same God now as He was then, He still has the ability to provide for all of our needs, and He will do just that! If that means one day I need to return to work, that's fine. I'm just thankful for the testimony he has given us, and thankful for this opportunity to share our story!